This report describes both the product of our modelling of Robert Dilts and the process by which we arrived at our model: 'Selecting what is Essential'. It provides nine video clips and a complete interview transcript, as well as other source material. It shows how we use Symbolic Modelling as a modelling methodology (rather than as a therapy/coaching process). It documents step-by-step how we constructed our model: gathering, selecting and organising information through the observation, interview and review stages. Our hope is that by seeing how the information builds up and is organised through a number of iterations you will get a better sense of both our model of how Robert models, and our approach to modelling. We are able to publish this report and the video clips because of the permission and generosity of Robert Dilts of NLP University; Fran Burgess and Derek Jackson of the Northern School of NLP; and Martin Snoddon of the Conflict Resource Trauma Centre (CTRC) and Northern Spring. Our appreciation also goes to Phil Swallow for video editing and web site support. We have organised this report into twelve separate web pages as listed below. If you would like to view the whole report in one go click 'Print-friendly page' near the top of the right hand column. The material in this report has been produced and developed at three times. Fran Burgess and Derek Jackson of The Northern School of NLP in England have long had a vision of 'modelling the modellers'. As part of that vision they invited Robert Dilts to a special two-day workshop where he modelled an exemplar for the first day and presented his model to the group on the next day. The following year we decided to present our model of Robert modelling to the November 2007 NLP Conference in London organised by Jo Hogg. To prepare for that presentation we reviewed the recodings of the original event, updated and documented our model, and packaged it for a 3-hour presentation. The main focus of the presentation was the product of our modelling of Robert. While lots of models and techniques have been created in NLP, there is still very little about how those models were created. Our aim is to redress that balance, and to take you through an in-depth study into model creation and construction, and to some extent, acquisition. Robert Dilts was one of the original group who, under the leadership of Richard Bandler and John Grinder in Santa Cruz, California in the early 1970s, started coding the processes that were to become Neuro Linguistic Programming. Robert has kept modelling at the core of his work ever since. 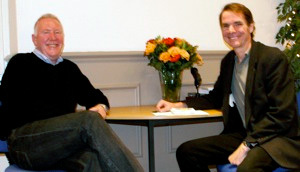 He is the author of a number of seminal books that chart the development of NLP over the last 35 years. (See nlpu.com for a full biography and bibliography.) It was our privilege to model Robert because of our great admiration for him, and for the contribution he has made to the field of NLP. Martin has spent the last 20 years working tirelessly to resolve conflict and heal trauma in Northern Ireland. His skills and expertise are in demand in conflict areas across the world, e.g. Kosovo, Palestine, Haiti. He works across all communities and religious denominations, with ex-paramilitaries, members of the security forces, non-governmental organisations and groups, and with individual victims of conflict. He had consistently demonstrated an ablity to work with groups who have violently opposed each other, facilitating them to engage in peaceful negotiations and reconciliation. 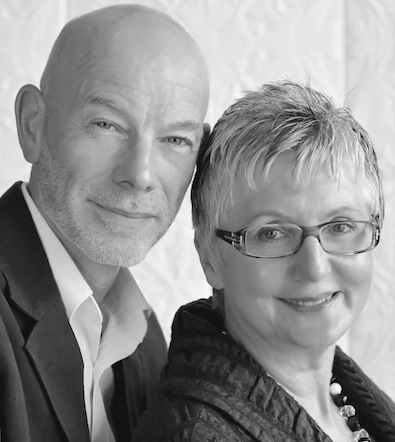 Our modelling of Robert Dilts was the latest in a long line of modelling projects starting in 1992 when Penny modelled how highly creative people knew they had a good idea, and James modelled the internal state of Spiritual Healers while healing. Our first large-scale project was modelling David Grove, a counselling psychologist who developed Clean Language and specialised in working with his clients’ autogenic metaphors. This took us four years and culminated in the publication of our book in 2000, Metaphors in Mind: Transformation through Symbolic Modelling. After that we continued to model David’s numerous innovations until his death in 2008. It was quite a learning experience to model such a creative exemplar for 13 years. And in Modelling the Written Word we describe ten ways we have applied our modelling skills to printed text. Currently, we are collaborating in modelling the work of the late Dutch environmentalist, Stefan Ouboter. 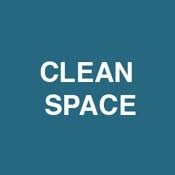 Stefan used 'clean' principles to devise a method, 'Modelling Shared Reality', for sampling the views of key individuals across multiple organisations and communities. As psychotherapists we use Symbolic Modelling as our main methodology, which means we model the individual perceptual landscape of each client. This, and our continued involvement in medium and large-scale projects means modelling has become a part of our daily lives. Naturally our approach has been influenced by our training in modelling, in particular with Richard Bandler, Judith DeLozier, Robert Dilts and Todd Epstein, Charles Faulkner, John Grinder, David Gordon and Graham Dawes, and John McWhirter. We are indebted for their groundbreaking work. Having since taught modelling to many groups we have distilled our experience into a set of notes: How to do a Modelling Project. For those unfamiliar with our work, here is the briefest of outlines. 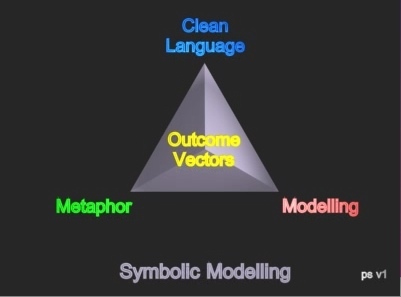 Symbolic Modelling is an outcome-orientated methodology made up of three components: modelling, metaphor and David Grove’s Clean Language. While Symbolic Modelling is often used as a therapeutic or coaching process it can also be used for modelling of excellence, all manner of interviews (police, research, job, defining specifications, etc.) and a variety of other applications in business, education and health. A symbolic modeller pays particular attention to a person’s verbal and nonverbal metaphors. By using Clean Language questions to direct a person's attention to particular aspects of their experience a 4-dimensional model of their internal perceptual world (a metaphor landscape) emerges. As the person discovers information (self-models) they reveal it to the symbolic modeller who then updates the model they are creating and uses it to decide what question to ask next. Symbolic Modelling is a bottom-up, iterative process. It is based on the premise that the organisation of our mind is inherently metaphoric and this influences the decisions we take and the way we live our life. We have written a number of introductory articles about Symbolic Modelling which are available our web site. How the modeller facilitates the exemplar to describe what they do. Please note, these are only two out of a number of modelling methodologies within and outside of NLP. They all have their merits and their limitations. Our advice is to become as proficient as you can in as many of them as you are able, and to use whichever methodology best seems to fit the circumstances in which you are modelling. For an explanation of the NLP terms used in this report, and especially those used by Robert during his interview with us, see the online version of the Encyclopedia of Systemic NLP and NLP New Coding by Robert Dilts and Judith DeLozier. Throughout the report we have included some ‘Acquisition Hints’ to help you acquire a model of Robert modelling. And, we hope that by following how we gathered the information and organised it over a number of iterations you will also be acquiring our bottom-up approach to modelling.